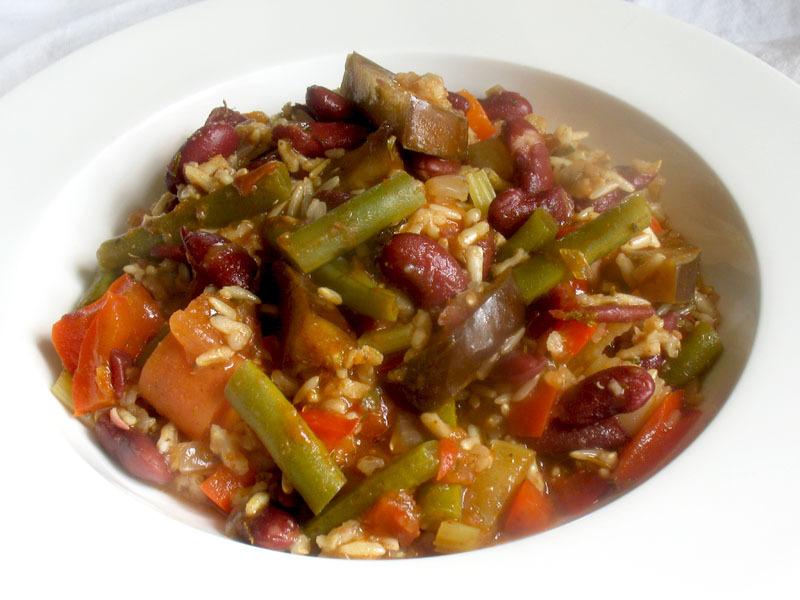 This thick and hearty vegetable stew is a vegetarian version of the classic spicy Cajun jambalaya stew loaded with red kidney beans, brown rice and plenty of vegetables. And once the beans are cooked, it's essentially a simple one-pot meal with everything you need for a complete meal. The Cajun blend of herbs really complements everything in the dish and it makes a fair amount too so you can share with friends and have leftovers besides. Adjust the hot sauce according to taste, and be sure not to skip the liquid smoke as it adds an essential flavor. 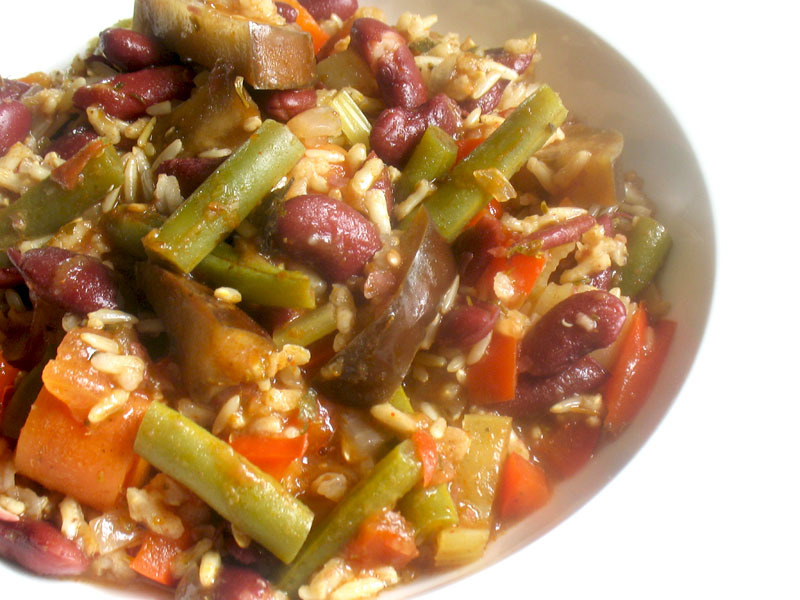 Rinse the kidney beans and brown rice separately. 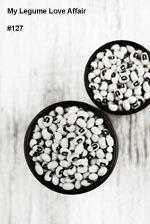 Cover the kidney beans with water and soak for 8 hours or overnight. In a separate bowl, cover the brown rice with water and soak for 8 hours or overnight. Drain and rinse the kidney beans, then transfer to a medium saucepan and cover with fresh water. Bring to a boil, reduce heat to medium-low, cover, and simmer for 1 hour or until just tender but not falling apart. Drain and set aside. Heat the oil in a large saucepan over medium heat. When hot, add the onion and sauté for 5 minutes. Now add the garlic, carrots, celery and green beans, and stir for another 5 minutes. Next add the tomatoes, red pepper, eggplant, sage, thyme, marjoram and celery seed, and continue to stir for another few minutes. Pour in the vegetable stock, liquid smoke, rice and the cooked kidney beans. Bring to a boil, reduce heat to medium low, cover, and cook, stirring occasionally, for 45 minutes or until the rice is tender. 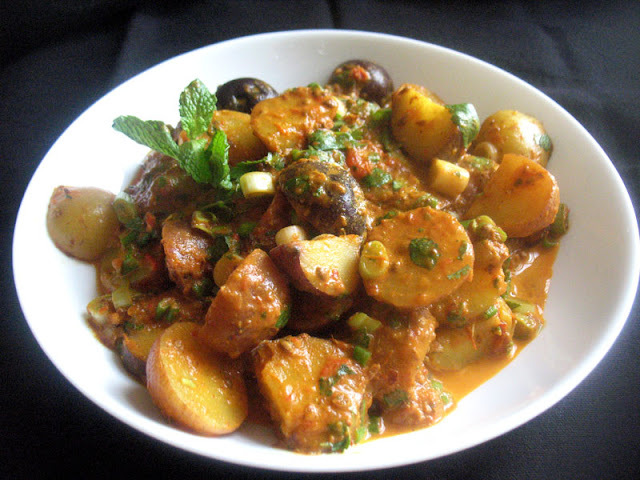 Add water as necessary if the stew becomes too dry. Season with sriracha, salt and pepper, and taste for seasoning — add more liquid smoke, sriracha, salt, pepper or herbs as desired. Oh tasty Lisa! Thanks for submitting it to Meat Free Mondays. I did of course feature it. Fab photos! Stumbled, pinned and yummed. This is hands down the best jambalaya I have ever had! I added 1 tsp oregano, 1 tsp smoked paprika, 1/2 tsp chipotle, a jalapeño, and 3 cups of okra. I also used 2 15oz cans of beans, and increased the water to 5 cups. I sprinkled on some parsley at the end and the juice from half a lemon. Served with toasted cheddar bread. AWESOME!!! So glad you enjoyed the dish Chris. Love your variations.